High-season hits Latin America like a thunderbolt in December and although you may think this is totally the wrong time of year to travel here, let us tell you: there are quite a few reasons December is so popular among visitors. And nope, it doesn’t all have to do with it coinciding with yearly international vacation times. December is the height of summer in the southern hemisphere and the absolute height of warmth, colour, wildlife action and cruising season in the southernmost reaches of the continent. This is, in all honesty, a wonderful month to visit. A month when sea temps warm up in the Galapagos, when wilderness blooms and wildlife abound in Patagonia, when ice recedes in Antarctica and when high-water levels make cruising the Amazon a sheer delight. Yet above all else, December is the ideal hiking and wildlife-watching month in southern Latin America, a harsh and remote region that is inhospitable for many months, every year. So now’s your perfect chance to see it, do it, hike it and be amazed by it all. Planning a wicked December trip to Latin America? Here are the very best places you should visit. Without doubt, December’s biggest highlights come courtesy of cruises to Antarctica and now is the time to take an extended voyage to include the Falklands and South Georgia, the most wildlife-enriched island of all. For the next two months, Antarctica boasts its longest days and warmest temps, enticing cruise passengers and marine wildlife with equal abandon. Whales, penguins and their corresponding offspring vie for your attention this month, with the nutrient-rich waters attracting the largest concentration of land, sea and flying creatures of the whole year. The only real downside to Antarctica cruising in December has nothing to do with the destination itself. This is the most expensive time of year for cruising and flying in the continent, but if you can handle the cost then rest assured you will find this magical place at its very best. Booking ahead and securing a good deal on cruises and flights is the only way to assure you get the best value for your hard-earned funds. 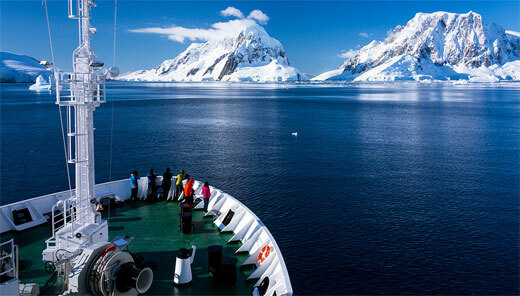 So check out our Antarctica cruises for December and get on the ball! Warmer sea temps are an absolute treat in the Galapagos, although we wouldn’t blame you for wanting to use a wetsuit nonetheless. These waters – although lying right in the equator – can be chilly at any time of year. December is the last month of garua (fog) season but doesn’t hamper snorkelling, diving or photography at all. On the contrary, cloud cover facilitates extensive hiking on land and entices wildlife to be much more active. In December, you will see lots and lots of sea lions although not as many pups, as adults will still be in the heart of their mating season. 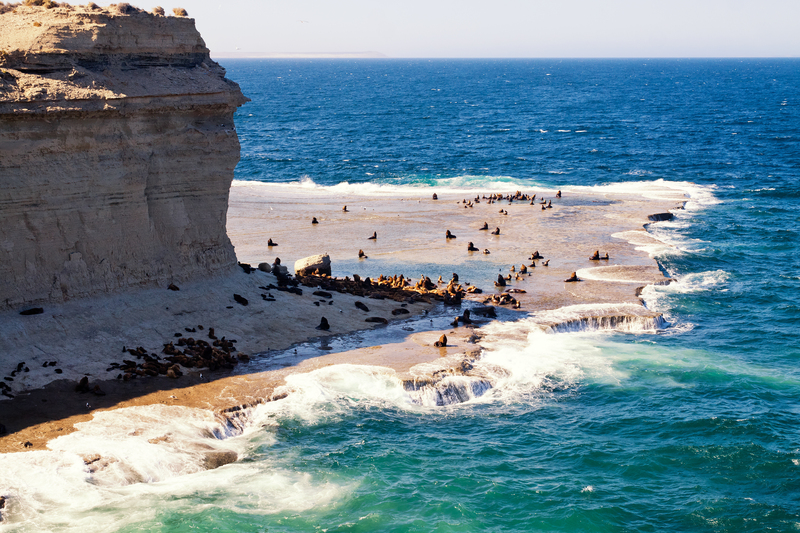 Fur seal babies, however, should be plentiful, so make sure your cruise includes walks on Genovesa and Santiago islands where the biggest nurseries reside. This month, blue whales and humpbacks continue to feed in these waters and you should also see toothed whales, orcas and dolphins, as well as green turtles nesting, if you’re exceptionally lucky. 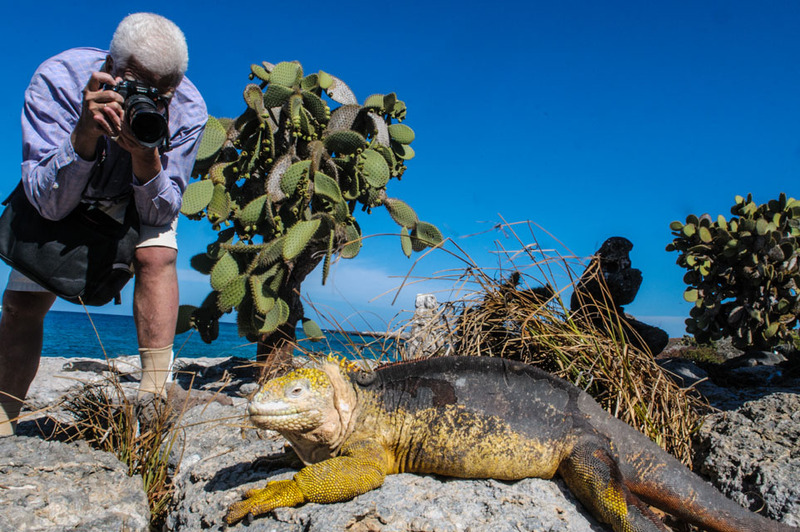 A nature lover’s paradise, the Galapagos Islands are an unrivalled animal-watching destination. Book your December Galapagos cruise in advance and enjoy an unforgettable end-of-year adventure. Latin America’s glacier wonderland and its crown jewel, the Perito Moreno glacier, will be on everyone’s mind this month, as the big thaw and startling skies attract visitors in their droves. The awe-inspiring sight of this one glacier, which measures an astonishing 150 square km, is unforgettable. 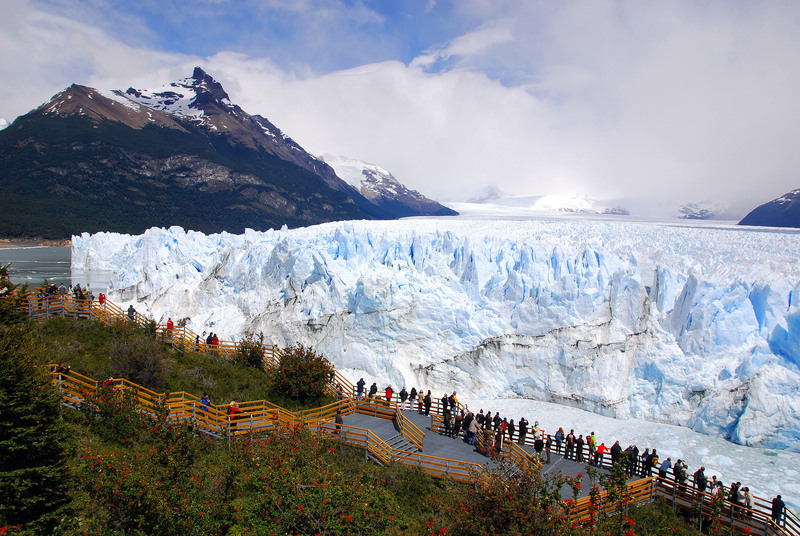 Even more astonishing, however, is realising Perito Moreno is only one of about 50 glaciers and one of hundreds of attractions in this postcard-beautiful park. Los Glaciares is a UNESCO treasure of unimaginable proportions and takes time – and great weather – to really experience it thoroughly. Climb Mt Fitz Roy and hike on Perito Moreno before taking a boat trip to Viedma Glacier and walking on million-year-old ice deposits. Base yourself in El Chalten and El Calafate and take daylong (or multiday) hikes to outrageously beautiful viewpoints, enjoy charming guesthouse stays and discover hidden fjords from the comfort of a luxury cruise ship. Being at the southern tip of the continent, Los Glaciares National Park is a place where wild and unpredictable weather is the norm, so choosing to visit in the warmest month of the year makes perfect sense. So come and explore Los Glaciares and its innumerable wonders. December will offer you the best chances of great weather so make sure you plan plenty of time to explore it at length. One of Patagonia’s most priceless jewels, Los Glaciares National Park is one of Latin America’s exceptional highlights. Come discover it in December on a bespoke tour of Patagonia. Patagonia’s Valdes Peninsula is mostly known as the place to watch orca whales hunt for seals close to shore but this is, in fact, a comprehensive destination for wildlife-watching in general. Dramatic, remote and lesser-visited, not to mention breathtakingly beautiful, the Valdes enjoys a wildlife bonanza in December with an impressive number of whales and dolphins congregating on the protective waters of the peninsula. A place best explored both by road and by sea, the Valdes is conveniently located for explorations throughout Patagonia. One of the world’s whale-watching hotspots, the Valdes Peninsula makes for a great add-on to tours of Patagonia and cruises to Antarctica. Check out these tours and ask us how to best combine all these incredible destinations to create one whirlwind itinerary that takes it all in. High water levels in the Amazon Rainforest make for fantastic cruising and if you wish to add a different kind of wilderness experience to your tour through the south of the continent, you’ll find plenty of perfectly-timed options in the Peruvian Amazon. Given the Amazon’s mind-boggling size, regional variations are immense, which is the main reason why this ‘forest’ boasts the largest biodiversity of any other on the planet. In December, the Peruvian portion is embarking on its wettest season, which is just perfect for extensive cruising, something which isn’t possible at the ‘driest’ time of year. As rivers fill and expand, it gives expedition vessels more room to navigate and to explore further inland than at any other time of year, offering you the fabulous chance to enjoy this sensational world of nature from the comfort of your chosen vessel. If you’re wary of on-land hiking in the Amazon and aren’t too keen to get that close and personal with all the amazing creatures that live here, then cruise it in December instead. This is a wonderful compromise and still makes for an extraordinary experience. Cruise the Amazon and immerse yourself in a world of unparalleled wilderness. December is a crazy popular travel month in Latin America and by now you should understand why that would be. The best of the lot…right now! So beat the crowds and the price hikes by booking in advance and do note that no matter where you go in Patagonia, the Galapagos, the Amazon or Antarctica, you’ll never feel crowded in. These are four of the most remote and largest regions in the continent so high-tourist season notwithstanding, you’ll find copious chances for solitude and enjoyment. Contact us for more info on December travels and start planning the trip of a lifetime today. A 4 day cruise of the Galapagos Islands aboard the M/Y Coral II, exploring Floreana, Española, Gardner Bay & Daphne.